Someone's about to get grounded! That would be cute Lucy here who has such little time left till her mommy comes back home, so little time to make her house so very sparkly clean again! A helping hand would be most appreciated, you know. Get ' Clean Up Time' skill game started and help Lucy clean the living room, her playing room, her bedroom and the kitchen before her mother arrives home! 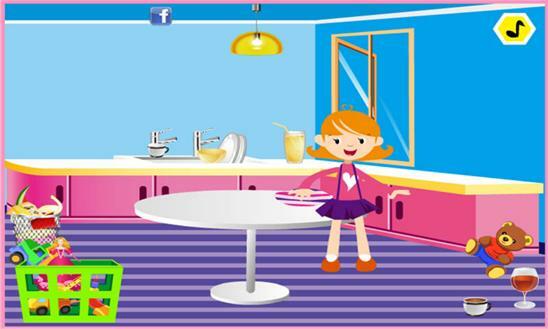 Good luck and enjoy playing this fun ' Clean Up Time' game!